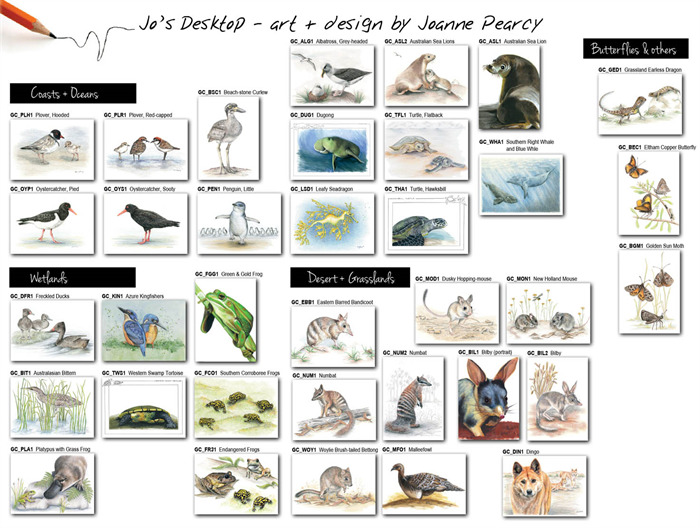 Your choice of any 3 Australian wildlife art greeting cards from the pictured designs... Or any greeting card in my store. 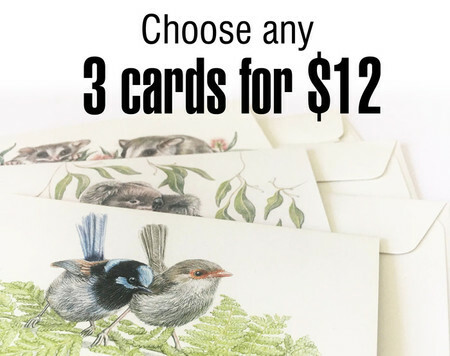 You may choose 3 of the same, or a mix of designs - its up to you!... please just write your selection in the 'Instructions to merchant' or a message to me. (Please note that at times some of the pictured designs are not available, but I will let you know so you can choose another). 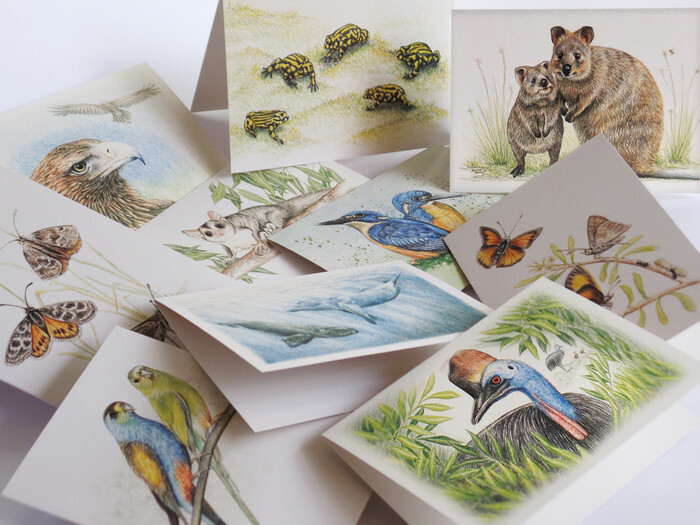 Front of each card features a reproduction of an original colour pencil drawing or painting by me - Joanne Pearcy. 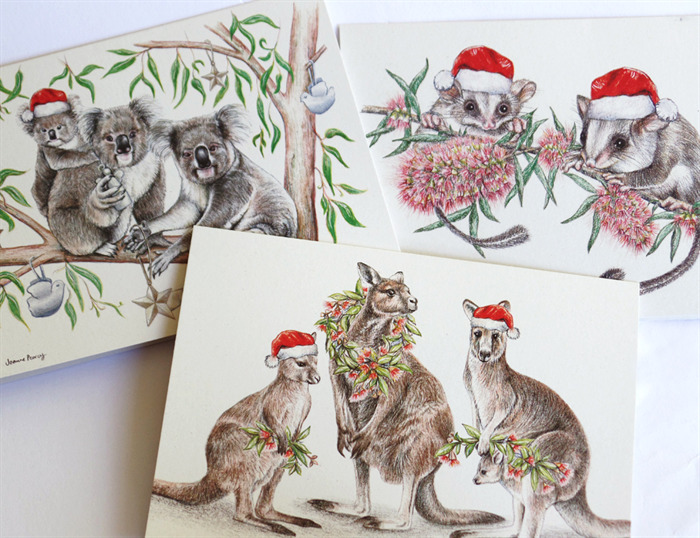 From my Endangered Australian species, Wildlife conservation & Australian threatened species series. 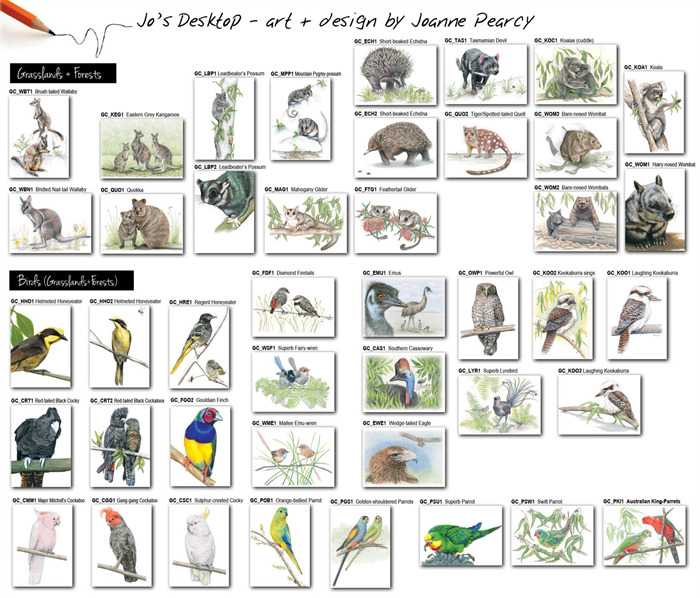 On the back of most cards is a description of the animal/bird featured on the front. 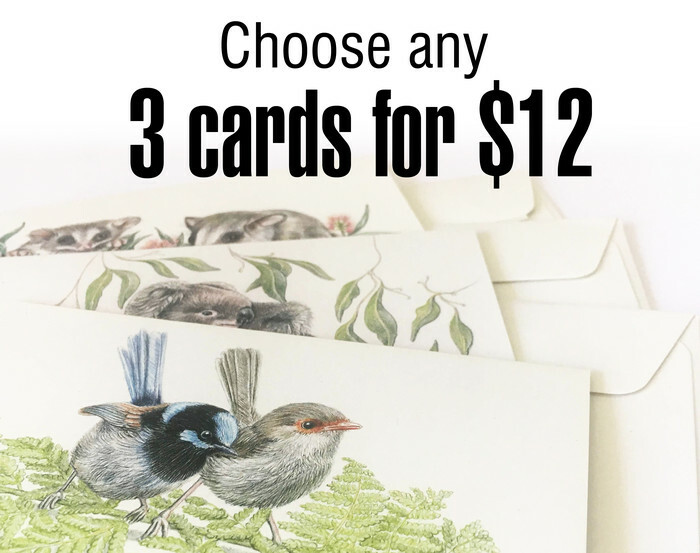 Inside of each card is blank for your personal message. They will be protected by cardboard when mailed to you. Thanks for visiting. 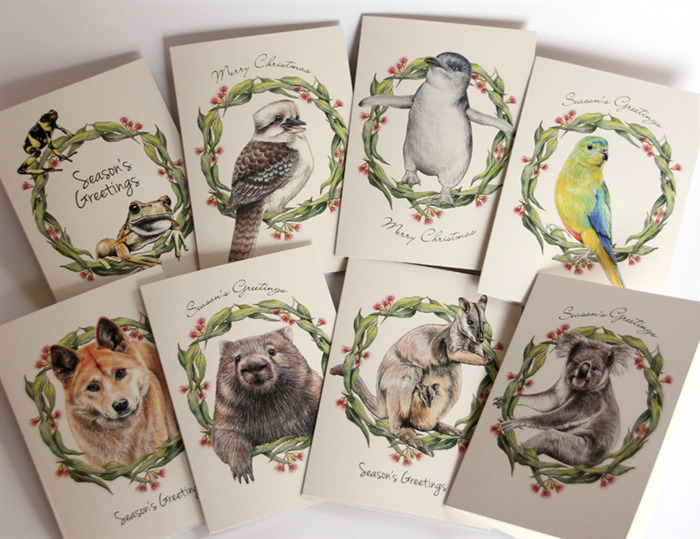 Check out my other listings for greeting card gift sets, wildlife art calendars and custom portraits. Keep up-to-date at facebook.com/josdesktop as new designs become available.